DON'T MISS OUT! Free shipping on all retail orders over $50! 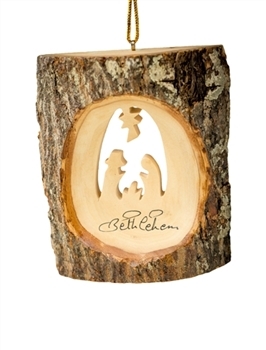 Each handmade ornament is carved from the finest olive wood in the Holy Land. 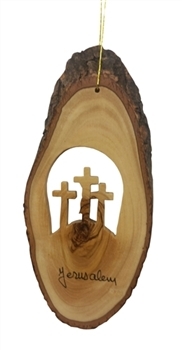 Not only does every olive wood ornament depict a sacred Christian symbol or scene, but is created from wood in Jerusalem. 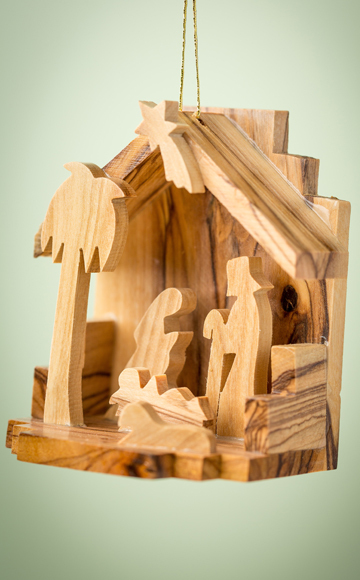 Each Christmas grotto is hand-carved out of the finest olive wood in Bethlehem, a painstakingly detailed process that produces a completely one-of-a-kind wooden grotto. 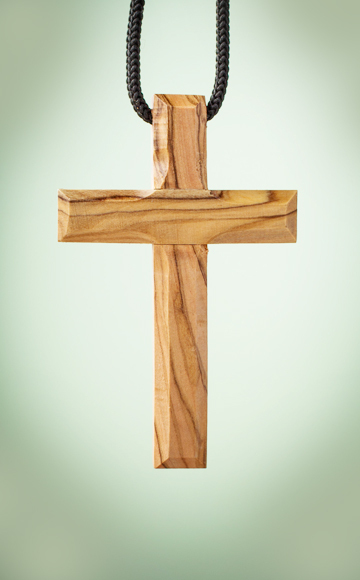 EarthWood proudly offers a huge selection of olive wood crosses, each one meticulously hand-carved out of fine olive wood from the Holy Land. 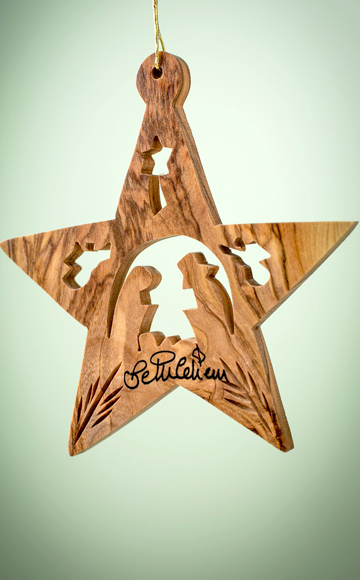 A family of wood carvers with four generations of experience use olive branches to carve each olive wood cross individually. 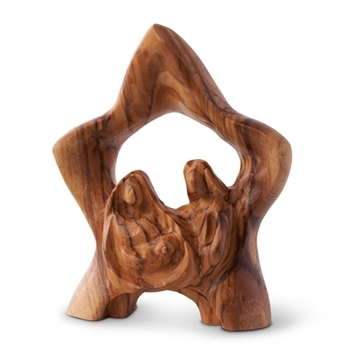 HF14 - Holy Family carved under a star over arch 3.5"
E29 - One Piece Nativity set with holy family and sheep - 6"x7"x4"
E12 - Small Onepiece Nativity set - 4"
N24 - Bark Slice with Nativity - 4" to 6"
E18b - Small Bell Nativity with Bark Base - 2.5"
3DN01 - 3D Stable with Nativity - 3"
E19b - Bark 3D Tree with Nativity - 2.5"
BK01 - Bark with Nativity Scene - 4"
Individually hand crafted in Bethlehem, each fine olive wood nativity set, ornament and cross carries with it a part of the Holy Land. 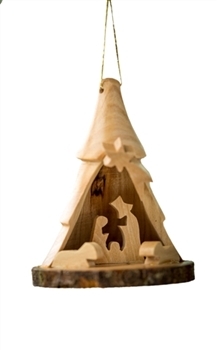 Buy olive wood Christmas grottos, ornaments and other wooden decorative pieces from EarthWood Products. 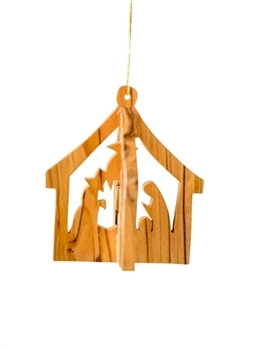 Our company works with the Giacaman family to bring the gorgeous and sacred olive wood Christmas decorations to your homes at the most affordable prices. 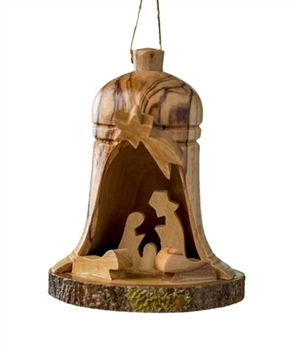 EarthWood Products carries both large and small, simple and ornate olive wood grottos that can effortlessly blend with your home’s Christmas decorations. 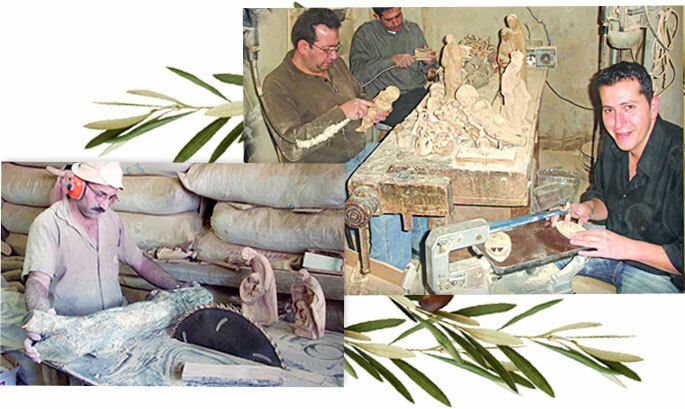 Each grotto is hand-carved from a piece of the finest olive wood in the Holy Land and meticulously handled by the Giacaman Family, a family who has been carving wood for generations. 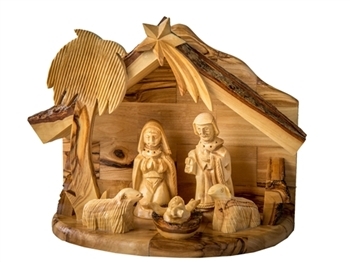 Our selection of Christmas grottos depict sacred scenes with Joseph, Mary and Jesus Christ with varying levels of detail. 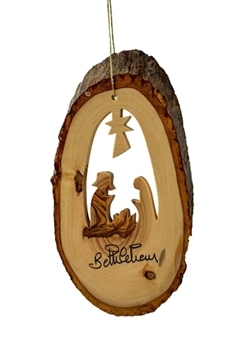 With more than 200 unique wooden tree ornaments from which to choose, you’re bound to find the perfect olive wood ornament for you and your loved ones. © Copyright 2015 EarthWood. All Rights Reserved. Ecommerce Software by Volusion.